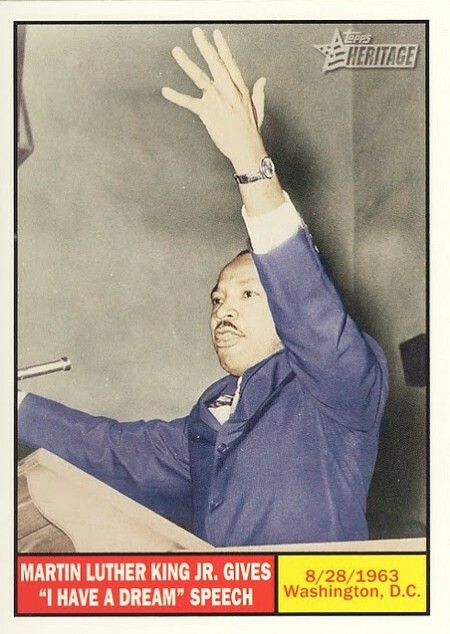 Whether you lived to see him in action or if you've only heard his story through movies, speeches, or books... if you're an American, Dr. Martin Luther King Jr. made an impact on you and your family's lives. 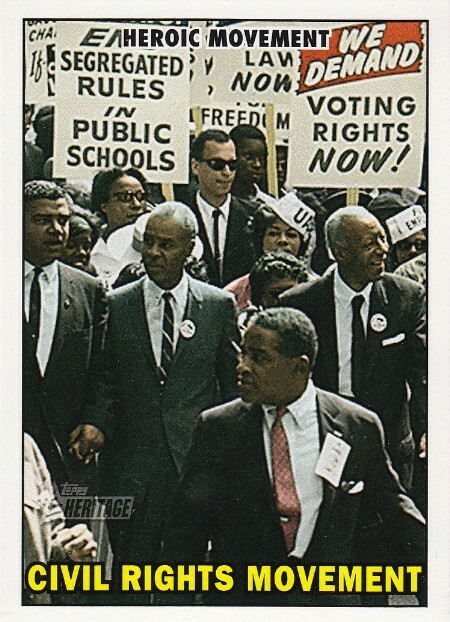 His leadership and hard work during the Civil Rights Movement has made the country I live in a better place for me, my family, and my friends. And for that... I am thankful. I have a dream that one day more of our country's youth will discover the entertainment and knowledge found on tiny pieces of cardboard... so that our hobby will bounce back to the popularity it once was... and local card shops and card shows will flourish with fellow collectors. 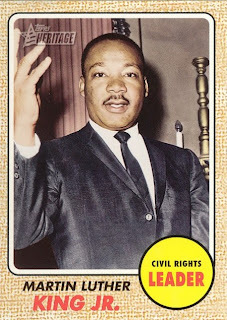 I have a dream that card manufacturers will come together, make collectors their priority, give up their monopolies, be rid of redemption cards & sticker autographs, and produce high quality products, instead of overproducing garbage. I have a dream that collectors will embrace the community and live together in peace... instead of using cardboard as a motivator to rip each other off in hopes of making a quick dollar... Yes that includes you too... Mr. Pack Searcher. Just because it isn't illegal, doesn't make it right. I have a dream that these pieces of cardboard will continue to bring joy and happiness throughout my life... that it will give me the desire to continue writing this blog... and finally I hope that this hobby will continue to add new friendships and strengthen the camaraderie we have in this community. This is my hope... and this is the faith that I go back to my stack of cardboard on my office desk with. What is your "Cardboard Dream"? I hope all of you have a great week and have the opportunity to see your "Cardboard Dreams" come true. Sayonara! I follow your dream as well! My kids see me playing with these pieces of cardboad on almost a daily basis, my dream is that they will follow in that interest when they're older. azdbacks1998 - that's what it's all about... i hope your kids follow in your footsteps. what a cool way to bond with your kiddies.